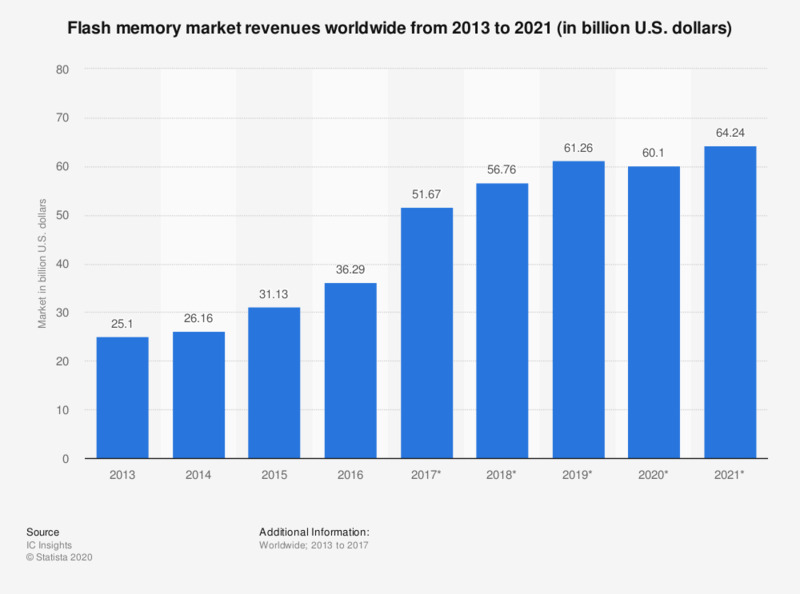 The statistic shows the size of the global flash memory market, from 2013 to 2021. In 2017, the flash memory market is expected to be worth 51.67 billion U.S. dollars worldwide. Everything On "Data storage" in One Document: Edited and Divided into Handy Chapters. Including Detailed References.